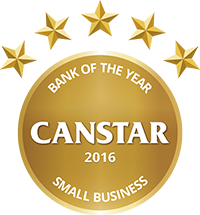 Canstar announces Bank of the Year – Small Business Award. Cannstar Bank of the Year – Small Business is awarded to the institution that provides the strongest combination of business loans, deposit and credit card products as well as excelling in a range of institutional factors. It is a phenomenal achievement: Bank of New Zealand (BNZ) has proved its enduring commitment to helping small business customers by being named Bank of the Year – Small Business by Canstar for the sixth successive year. Irrespective of size all businesses need specialist business banking support from financial institutions and each year Canstar researches and rates the business banking products and services offered by New Zealand’s financial insitutions. To be considered for Canstar’s Bank of the Year – Small Business Award institutions must offer loans, credit cards, and deposit accounts to businesses. “Small businesses are the backbone of New Zealand’s economy and access to information, finance and timely advice is key to helping those businesses succeed,” said Canstar General Manger – New Zealand, Jose George. For the sixth year in a row, Canstar congratulates BNZ on winning the Bank of the Year – Small Business Award. Canstar’s Jose George described it as an impressive achievement. “BNZ provides a comprehensive and well-priced range of business banking products including their MyMoney for Business, their new Advantage Business Visa credit card and flexible business loan options. Responding to the announcement, BNZ’s Head of Small Business Harry Ferreira described it as an incredible honour. “We’ve worked hard to improve what we deliver for our small business customers and this award shows it’s really working,” Mr Ferreira said. “We invest heavily in innovation. We have a team with the scope to think holistically about the customer experience both personally and commercially with a brief to think beyond banking. Technology is playing an ever increasing part in providing customers with better access to Business mangers when they need them and a better ability to transact when it suits them. Canstar congratulates BNZ on its impressive achievement. The Bank of the Year – Small Business Award report can be accessed here. Canstar provides Australia and New Zealand’s only fully interactive online research service in retail and business finance. Founded in 1992, Canstar Pty Limited (formerly CANNEX) is Australia and New Zealand’s premier researcher of retail finance information for over 250 institutions such as Banks, Building Societies, Credit Unions, Finance Companies, Brokers, Mortgage Originators, Life Companies and finance related Internet Portals. Canstar customers use the extensive database for competitor analysis as well as a means of disseminating their product range. Canstar also distributes this information to print and electronic media for publication and to Agents, Accountants, Brokers and Internet Portals for use in advising their clients. What are the Canstar star ratings? Canstar researches, compares and rates the suite of banking products listed below. Results are freely available to consumers who use the star ratings as a guide to product excellence. The use of similar star ratings logos also builds consumer recognition of quality products across all categories. Please access the Canstar website at www.canstar.co.nz if you would like to view the latest star ratings reports of interest. © Canstar New Zealand Limited (3225469), 2008-2013. The recipient must not reproduce or transmit to third parties the whole or any part of this work, whether attributed to Canstar or not, unless with prior written permission from Canstar, which if provided, may be provided on conditions. To the extent that any Canstar data, ratings or commentary constitutes general advice, this advice has been prepared by Canstar New Zealand Limited (3225469) FSP 200146 and does not take into account your individual investment objectives, financial circumstances or needs. Information provided does not constitute financial, taxation or other professional advice and should not be relied upon as such. Canstar recommends that, before you make any financial decision, you seek professional advice from a suitably qualified adviser. A Product Disclosure Statement relating to the product should also be obtained and considered before making any decision about whether to acquire the product. Canstar acknowledges that past performance is not a reliable indicator of future performance.